Some 150 cases have been laboratory confirmed in the country. 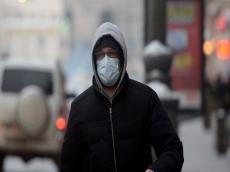 From November to February, there were 55 laboratory confirmed cases of measles in country,Sputnik Azerbaijan reported. Infection cases are mostly observed among adults in Baku. These are those who received vaccinations in childhood and subsequently lost immunity, or unvaccinated people. However, the situation is not as critical as it seemed. Deputy Director of the Republican Center for Hygiene and Epidemiology Afag Aliyeva said that it is not such a great number for country with a multi-million population. Moreover, the Ministry of Health awaits the delivery of a batch of measles vaccines for adults. The Ministry of Health ordered 160,000 doses. After that, the ministry will announce the category of people who can get the measles vaccine for free. Measles, or rubella, is a viral infection of the respiratory system. Measles is a very contagious disease that can spread through contact with infected mucus and saliva. An infected person can release the infection into the air when they cough or sneeze. Measles is a leading cause of death in children. Most measles-related deaths are caused by complications associated with the disease. Symptoms of measles in children are manifested by high fever, characteristic rash, sore throat, cough and signs of severe intoxication of the body. Measles can occur with serious complications right up to a lethal outcome. Annually, more than 150,000 people die because of this disease, mostly children under 10.